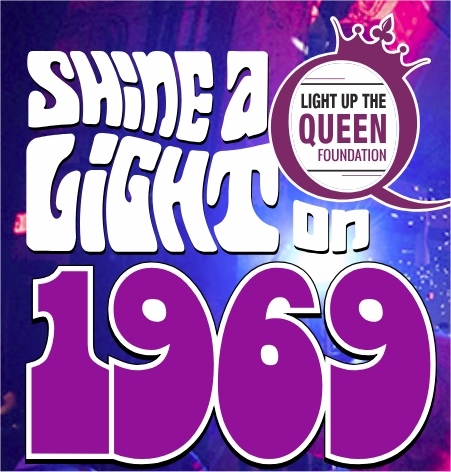 GIG: Saturday, March 2, 2019, 8pm: 8th Annual Shine A Light® Fundraising Concert – A Tribute to 1969 – Hot Breakfast! I’m not going to lie. For years, I had heard the term “Shine A Light,” but never really knew what it was, and was honestly too embarrassed to ask. Was it a group of people? Was it a tribute show? Was it a fund raiser? And it turns out the answer to all of those questions is “Yes!” In the tiniest nutshell, Shine A Light® is an annual concert that raises money for the Light Up The Queen Foundation, which is a non-profit organization that, among other things, provides arts and music programs in schools and the greater community. Over the years, the Shine A Light shows have helped raise over $500,000 for music and arts education programs throughout the state as schools are forced to cut art and music programs due to lack of funding. Thanks to LUQF, students who may not have otherwise had an opportunity to try an instrument, to sing in a choir, to participate in theater, or even to see a show, now have access to these absolutely critical developmental activities and so much more. Studies and upon studies prove that music and art programs not only provide a healthy and creative outlet for students to express themselves while also learning social skills, but these programs also give students confidence, raise academic grades, increase attention span, reduce feelings of isolation, anxiety, loneliness, and stress, and provide a lifelong hobby with lifelong friendships. With all that, Matt and I are genuinely honored to be members of this year’s Shine A Light freshman class! On Saturday March 2nd, we’ll be joining forces with over 50 musicians to present nearly 40 of the best damn songs from 1969. We’re contributing background vocals to a bunch of tunes, and Matt will be joining the horn section on bari sax, too. Wait until you hear the song list– it’s absolutely incredible1; and I’m giddy over getting to make music with people whose names and talents I’ve revered from afar for so long. Kerry tells me there is so much I have left to learn. For example, apparently when we get closer to showtime, we’ll get drilled on the steel-reinforced “SAL stage rules,” which ensure that 50+ people can pull off 35+ songs with no longer than 90 seconds between each tune. I am amped to learn how this is done! This whole event is a dizzying feat of coordination, and if you know me, you know I’m happiest when I have a detailed plan. The ‘planner’ in me is awed and comforted by Tony Cappella, Dan McGowan, and Joe Trainor’s madd chess/Tetris skillz as they make sure each song is fully assigned, scheduled, and rehearsed by each tune’s “dream team” of hand-picked players. I guess it only makes sense to make sure we also rehearse getting on and off the stage as efficiently as possible, too. Man, I freakin’ love a well-oiled machine. Seriously. OKAY, let’s talk logistics about getting you to the show, shall we? You have to remember that this here big event is a fund-raiser (and an important one!) so tickets are not supposed to be cheap… but I promise you the prices are worth it, for there shall be excitement for all five senses that night! Hear the sweeeeet music, played by the pros! See the exciting light show, run by people who take delight in visual nerdery! Taste the boozey drinks and the tasty VIP food whipped up by Celebrity Chefs! Feel the bass in your chest as the music moves you2 and that drunk person accidentally bumping into you. Smell the devil’s lettuce (or is that the sweaty band?)! VIP tickets are sold for $250 each, and it gets you a pretty sweet package: Starting at 6 PM, VIP guests will enjoy a musical jazz opening act from The Light Up The Queen Foundation’s own Boysie Lowery Residency graduates, along with a sponsored photo booth to mark the occasion. 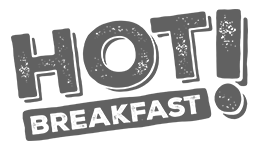 Your VIP ticket also entitles you to amazing food provided by local celebrity chefs and Crop Foundation, drinks, and balcony seating, access to the front of the stage (the Pit) and more! The General Admission tickets cost $60 for now– however, The Queen reserves the right to increase ticket prices if the demand increases. Since this show sells out earlier and earlier every year, my suggestion is to get your tickets as soon as possible! General Admission doors open at 7pm. But no matter which ticket flavor you purchased, the real fun begins at 8pm, when over 50 local musicians come together on one stage to honor the year 1969, playing some of that year’s most influential songs… All for the best cause. We really hope you’ll attend this really outstanding event. We’re really, really proud and honored to be a part of it. TICKETS: There are two ticket tiers: General Admission for $60 and VIP tickets for $250. Tickets will be available for sale online from now up until two hours before door time the day of show. After that tickets available at box office window unless they sell out. Get em early! PARKING: Plenty of parking in town, either on the street (it’s free after 6pm) or at the Queen’s garage on 5th Street between King St and Market St.
FOOD/DRINKS: There are two full bars. I’m not sure if there will be food for the General Admission ticket holders, however VIP ticket holders will have food catered by Celebrity Chefs and The Crop Foundation. 1 My only complaint is that we’re not doing anything off of Trout Mask Replica, but hey, you can’t win ’em all. 2 You’d better pray it’s not The Brown Note, otherwise you’ll be smelling more than just The Devil’s Lettuce.